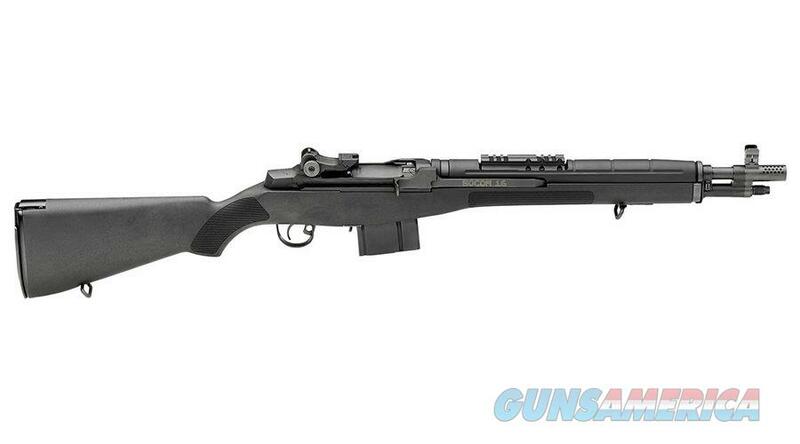 The world of tactical rifles forever changed in 2004 when Springfield Armory® introduced the M1A™ SOCOM-16. 7.62NATO power in a package this small was previously unthinkable. Shooters who need a compact rifle no longer have to settle for a lesser caliber, although they can expect less felt recoil and less muzzle rise, thanks to the SOCOM-16’s unique design. The SOCOM-16 starts with a specially-engineered 16 inch barrel that is mated to the gas system with a proprietary muzzle brake. Shoot the SOCOM-16 and you’ll be double-checking the stamping on the barrel, because you’ll have a hard time believing that you’re shooting a .308. The muzzle brake reduces felt recoil and keeps muzzle rise so flat that follow-up shots with a caliber this powerful have never been so easy. The enlarged ghost ring aperture rear sight and XS Tritium Insert in the front sight give you the quick target acquisition capability you want and need under any conditions. If your mission calls for optics, the SOCOM-16 features Springfield Armory®’s forward scout-style Picatinny mount. Of course, the SO16 also has the legendary performance and reliability that M1A™ shooters have come to love and expect.